What’s on in food this week? Cheesy dinners, tasty festivals and a beer weekend celebration that will leave you feeling tarty! Yep, our prayers have been answered, and cheese wheel pasta will be taking over new Italian spot Il Verde in Bowen Hills every Thursday night from 6pm. $45 will get you carbonara served up straight from a parmesan wheel, a glass of wine and dessert – although we really just wish we could take the leftover cheese wheel home. 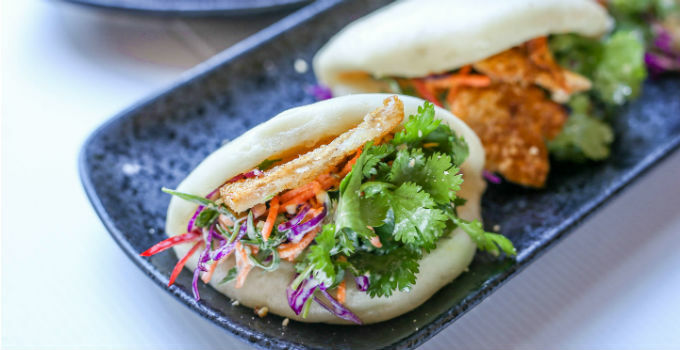 After leaping on to the Valley scene with their fluffy baos, Bao Down Now has picked up sticks and moved just down the road to Teneriffe, taking over Wilde Kitchen as a pop-up venue every Thursday to Sunday from 4-9pm with their Asian handfuls of yum. Stop in and grab a fluffy bao bun stuffed with all manner of delicious fillings (including dessert baos! ), or better yet, head in from 5-7pm on a Thursday or Friday and buy 2 bao to get 1 free! Oxford 152 & Barcadia have combined forces to bring the annual Bulimba Festival back to life, with a huge day of tunes, street performers, and of course, a whole lot of food and booze! The day will see Bulimba taken over by food trucks, pop-up bars and two live music stages, with entry just a gold coin donation. Save the date and keep an eye on this space for updates! The Scratch Bar’s annual tart-fest is your opportunity to taste test an impressive collection of sour brews. Kicking off at midday on Saturday, the weekend-long bender brags a sweet collection of sour ales to be tapped at various times throughout the weekend. The Sunnybank $2 Food Trail is back, bigger and better than ever. On November 12, make your way down to the Sunnybank Plaza & Sunny Park Shopping Centres for this delicious event. Full of little known restaurants, cafes and eateries, Sunnybank is the perfect place to host a food trail featuring a cultural smorgasbord of Chinese, Japanese, Hong Kong style, Vietnamese, and Taiwanese cuisines and much more. To find out more, visit the event page. If you’re not sipping bottomless mimosas with your brunch on a Sunday morning, then, frankly, you’re just not doing Sunday right. Lucky for you, Cloudland is inviting one and all to join their new Brunch Club – and there’s plenty of bubbles involved! $75pp will score you 3 1/2 hours of food and booze, underneath the open sky in their Rainbow Room, complete with live entertainment and a pan-Asian inspired brunch menu. Grab a fellow brunch lover and email hello@cloudland.tv or call 3852 5000 to book a spot. Don’t worry if you miss this one! They’ll be brunches on November 20th and 27th! We’ve got something that will be a real ve-gain to your Sunday – the first ever vegan markets are coming to the corner of Boundary Street and Russell Street in the West End. Come along for some delicious, healthy vegan food, wander through the stalls and pick up some clothing and cruelty-free cosmetics, listen to calming acoustic music as you get some great vegan meal ideas, and learn about the benefits of the diet on the body. Venture in to Urbane for a night of delicious champagnes from the Houses of Brimoncourt and Alfred Gratien paired with 6 courses from award winning chefs. Begin the night with a spicy meat dish, followed by freshly shucked oysters, and perfectly grilled fish or flavoursome fish tartare with a sweet dessert. Conclude the night and top off that food baby with creamy goat and parmesan cheeses. Ticket are only $195 and are available by calling Urbane on (07) 3229 2271. Join the Secret Foodies for a unique dinner with the Brisbane skyline as the backdrop and a blanket of stars above you. For $85pp you’ll be treated to a cocktail and canapé on arrival, followed a three-course meal with a focus on quality, seasonal produce and home-cooked classics, and wines matched to each of the dishes. The top-secret inner city Brisbane location awaits and will be revealed just two hours before the event via text message. Click here to purchase your tickets. It’s time to shake those hips and samba because the Brazilian Music Festival is coming to Brisbane! The festival will host numerous local and international performers playing a diverse range of Brazilian music rhythms. After you’ve danced up a fiery storm, grab a little (or large) bite to eat from any of the traditional Brazilian food and drink stalls that will be serving mouth watering food options and exotic and refreshing Brazilian drinks and cocktails. Tickets start from $49pp and can be bought here.